Oklahoma has seen an explosion in natural gas extraction over the past decade. Yet state legislators cut education funding by 28 percent in the same period. What happened? Looking at the public school system, one would think Oklahoma is a poor state. One fifth of the state’s school districts hold classes just four days a week currently. There often aren’t enough desks in classrooms so children are forced to sit on the floor. School buildings have mold on the walls and leaking roofs. Textbooks, when available at all, are sometimes as old as the students themselves. One art teacher in Tulsa, Leslie Thomas, says his classes range from 40-45 students each, making meaningful instruction virtually impossible. Virtually all public school teachers in the state have similar stories. Since the recession of 2008-09, per student funding has been cut by 28 percent, leaving schools and teachers in dire conditions. The state now ranks last in the entire country in teacher pay. More than 700 teaching positions have been cut in the last five years, during which time student enrollment has grown by more than 15,000. In response to the horrendous conditions, oversized classes, inadequate materials, and low pay, the teachers of Oklahoma have staged the first major strike in nearly three decades. The work stoppage has lasted three days already and as of Wednesday, over 70 percent of schools were closed across the state. But these conditions in the schools mask the tremendous amount of wealth that exists in the state, held by just a small minority of its residents. In Oklahoma as elsewhere, when state employees demand better pay and conditions, the politicians have responded that there simply isn’t enough money in the coffers to pay for it. Governor Mary Fallin stated this week that a $6,000 raise was as far as she was willing to go, well short of the $10,000 raise and full funding for schools called for by teachers. Yet this modest raise would still not bring teachers’ salaries up to the country’s average, nor would it address the dilapidated conditions in schools or the lack of adequate materials for learning. And while schools are facing cutbacks and shortages in supplies, Oklahoma’s natural gas and oil sector has raked in billions in profits over the past decade. The profits for just one Oklahoma-based corporation, Continental Resources, reached nearly three-quarters of a billion dollars in 2017 alone. That’s enough to cover the $200 million increase in education funding requested by Oklahoma’s teachers more than three times over. Beginning around a decade ago, the natural gas industry has experience a boom in the Sooner State. This was primarily driven by the expansion of fracking for the extraction of shale gas. 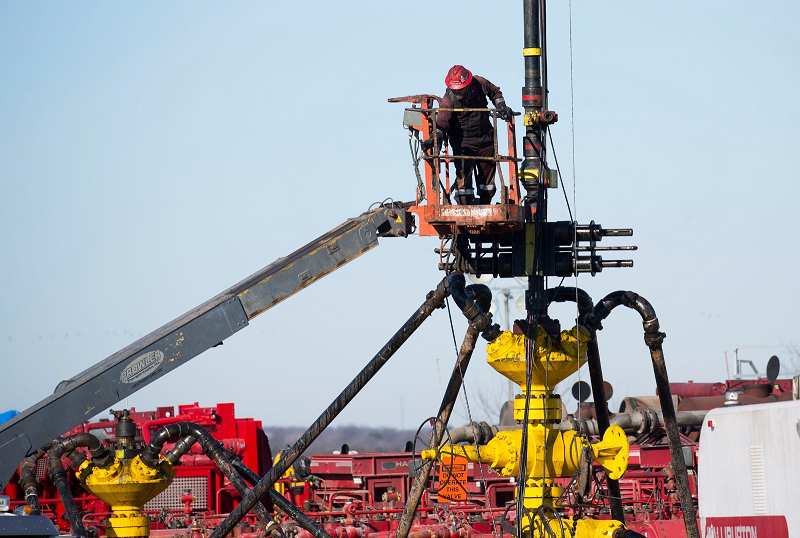 Federal records show that 2016 was a record year for withdrawals of shale gas in Oklahoma; more than 12 times the amount of shale gas was extracted that year as was in 2007. One tenth of all the whole country’s shale gas is stored here. The extraction of fossil fuels has led to massive accumulation of wealth in the hands of a tiny few over the course of the state’s history. Just six Oklahoma billionaires today have a combined net worth of over $37 billion, far more than the entire amount spent by the state on education, health care, public services and transport together annually. Among the richest Oklahomans is Continental’s Chairman and CEO, Harold Hamm, with a net worth of $14 billion. Hamm is a firm Trump supporter has been outspoken opponent of even limited federal regulations on the fossil fuel industry initiated by Obama. 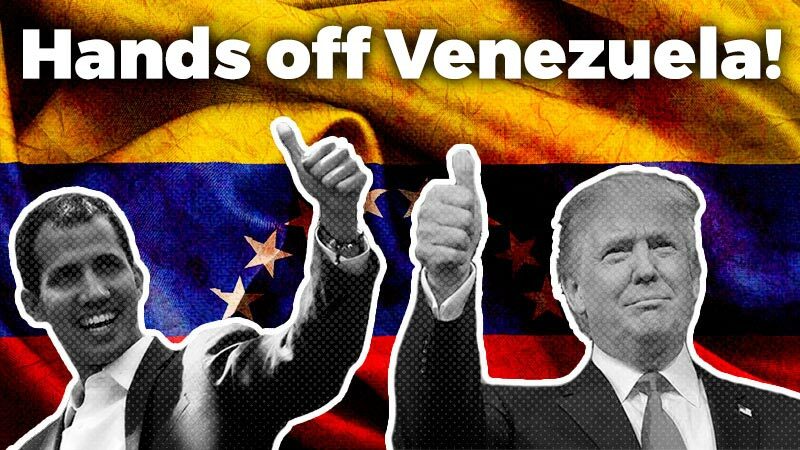 There’s also Lynn Schusterman with a net worth of $3 billion, widow of Charles Schusterman, the founder of Samson Investment Company, which is now the largest privately-held crude oil and natural gas company in the country. The oil and gas lobby is represented well in the state by Mary Fallin. Since she began her political career, Fallin has continually taken large campaign donations from the energy sector, while pushing for even more cuts to corporate taxes. The industry also relies on sophisticated methods of avoiding state and federal taxes. The online publication Frontier states that, “When crude oil prices crashed between 2014 and 2016, many Oklahoma energy companies booked sizable losses that can be used to reduce or completely eliminate state income tax liability for up to 20 years.” This tax loophole is similar to the one Donald Trump is alleged to have used to avoid paying federal taxes for years. It is no wonder that many teachers have taken up the call for increased taxes on the fossil fuel industry to fund public school education. Oklahoma has the resources already to end the crisis in the state’s education system and meet the needs of poor and working-class children who represent at least three out of every four students. Yet these resources today are in the hands of the few multi-millionaires and billionaires who control the oil and gas reserves. Instead of building the private fortunes of the capitalists, the resources of Oklahoma should be put in the service of its working class and poor residents. This could be achieved through the statization, under worker and consumer control, of the entire energy sector in the state. However, the planet cannot afford to continue burning fossil fuels — even if owned by the state — at anything like the current rate if we wish to avoid catastrophe. The oil, coal, and gas industries are the primary drivers of greenhouse gas emissions around the world and threaten the very existence of human life on Earth. Statization therefore would mean that the oil and gas be used only to provide energy to meet the real needs of the state’s residents (electricity in their homes, transportation, essential goods and services, etc.) while cutting all surplus extraction. It must mean at the same time, planning for the quickest possible conversion to 100 percent renewable energy across the state, under public ownership. Further, the reckless method of extracting gas through fracking has put the water supply of Oklahoma in serious jeopardy of contamination and has been strongly linked to a rise in earthquakes in the state. Fracking, therefore, should be immediately put to an end in Oklahoma and across the country. 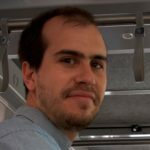 A heavy tax on the large fortunes amassed by the Oklahoma’s billionaires — especially the oil and gas magnates — along with the elimination of all inheritance rights, would more than cover the cost of fully funding public schools, increasing salaries for teachers, providing a free public healthcare system in the state, and undertaking massive public transportation and infrastructure projects. 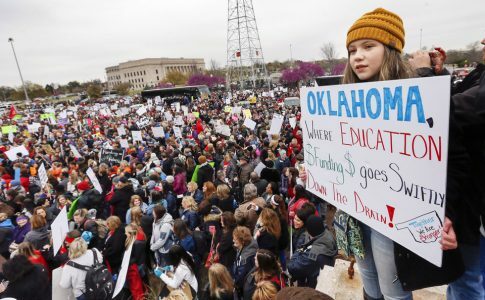 The teachers of Oklahoma have already made a connection between the giveaways to the fossil fuel companies and miserable conditions in the state’s schools. 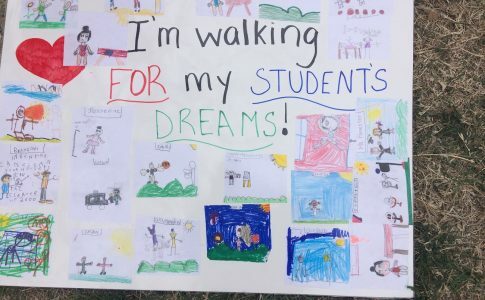 Read one sign at the rally organized outside the Capitol, “Invest in renewable resources — our students. 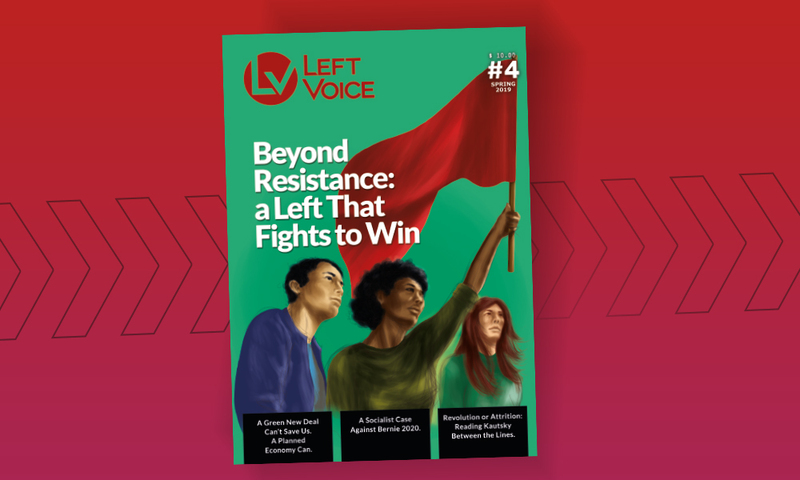 Not oil.” By linking the fight against the fossil fuel industry with the fight against education cutbacks, we can broaden and strengthen both fights immensely. Let’s make sure everyone hears what the Oklahoma teachers are saying. 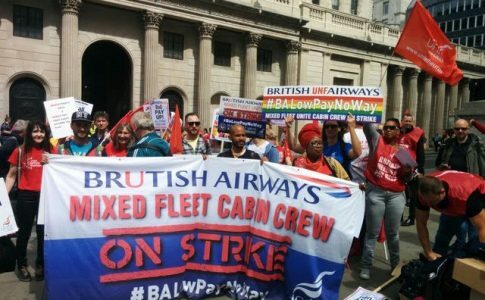 London Says: Low Pay, No Way! Strike and demonstrations against low pay take place in Central London. 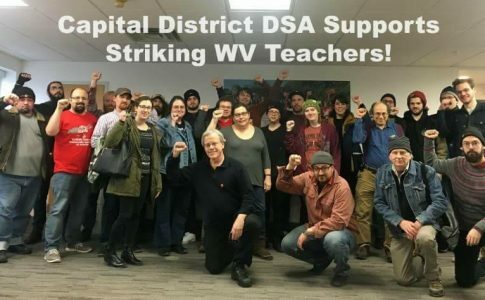 Several DSA chapters show solidarity with West Virginia teachers.